Of all the facial features, the nose is without a doubt the most prominent and noticeable. When rhinoplasty surgery is performed and the desired results are not achieved, it can possibly lead to a revision surgery to help correct the nose. Dr. Ben Talei, a dual board certified facial plastic surgeon at the Beverly Hills Center for Plastic & Laser Surgery is specialist in rhinoplasty revision surgery. Because rhinoplasty is a specialized area of plastic surgery, revision rhinoplasty is exponentially more difficult. The consultation and examinations that Dr. Talei performs performs before rhinoplasty revision surgery help him determine the exact plan of action. Dr. Talei’s surgical techniques can give natural results to an overly aggressive or poorly executed rhinoplasty surgery. He can work to remove a remaining hump or reshape the tip. Sometimes these goals can be accomplished through simply removing more bone or cartilage. 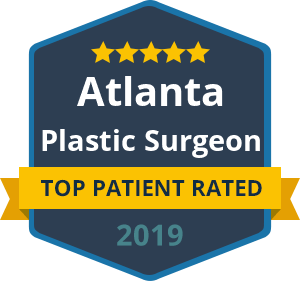 Dr. Talei holds a dual fellowship training in Facial Cosmetic and Reconstructive Surgery, Vascular Birthmarks and Congenital Anomalies with Laser Surgery. He is also one of the most highly trained and uniquely skilled physicians in his field, with a delicate hand in surgery and an artistic eye. Dr. Talei does not have a one size fits all approach to surgery. He takes the time to determine the specific course of action that will yield each patient the desired, most natural results. If you previously had rhinoplasty surgery with unachieved results, contact our Rhinoplasty Revision Surgery Specialists at the Beverly Hills Center for Plastic & Laser Surgery to schedule your consultation with Dr. Talei.